You know when you hear that one record that you just hit play and dont even think about skipping to the next song? Well your in luck. We got one for ya. Vincenzo Salvia has be around for a while pumping out release after release with 17 releases total on Bandcamp. 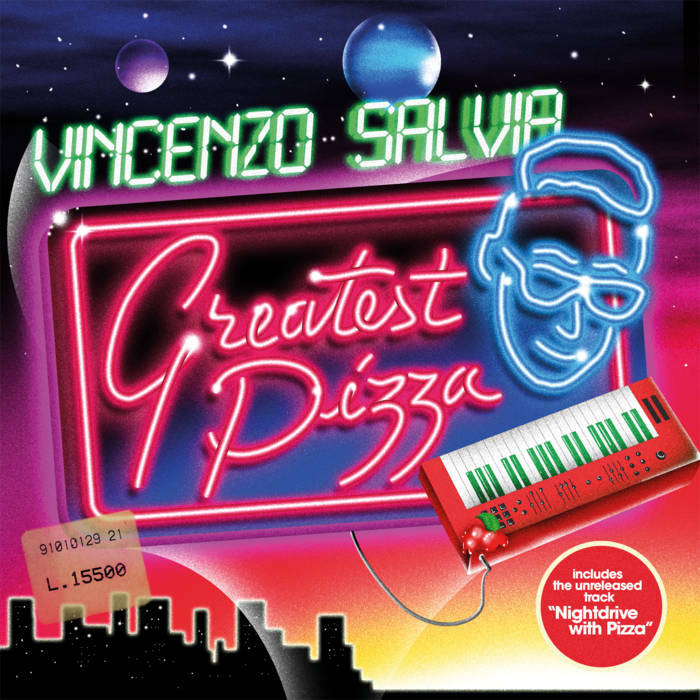 Greatest Pizza, his latest work brings that pure 80s sound and does it well. It compiles a ton of his older work along with a previously unreleased track “Nightdrive with pizza”. If anyone was new to Salvia’s music this would be one great way to listen for the first time! The stunning artwork for Greatest Pizza done by none other than Overglow, the Retrofuturistic 80’s inspired graphic artist whos work never fails to impress, and with tracks like “Suitcase in the Night” “Zombie Workout” and “voyage” plus the many other featured here, one could say “how can you not enjoy this amazing collection? Take a listen here!